Baltic Kontor Ltd. – Lloyd's Agency in Latvia » Agents by the emerged Verein Hanseatischer Transportversicherer e.V. Agents by the emerged Verein Hanseatischer Transportversicherer e.V. 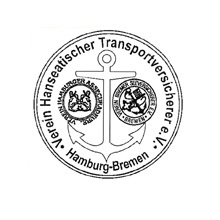 The Association of Hanseatic Marine Underwriters (VHT – Verein Hanseatischer Transportversicherer e.V.) is an independent intermediary that advises insurers and insured parties alike. The primary focus is on comprehensive claims handling. In addition, the VHT provides a full range of services on the subject of maritime transport insurance, including risk analyses, monitoring of special transport arrangements, immediate aid in the event of damage, adjustment of part averages, assistance in case of emergencies at sea and preparation of independent valuations. And, if disaster strikes, over 300 average agents provide speedy, uncomplicated assistance: world-wide and directly on site. Copyright © 2013 Baltic Kontor Ltd.